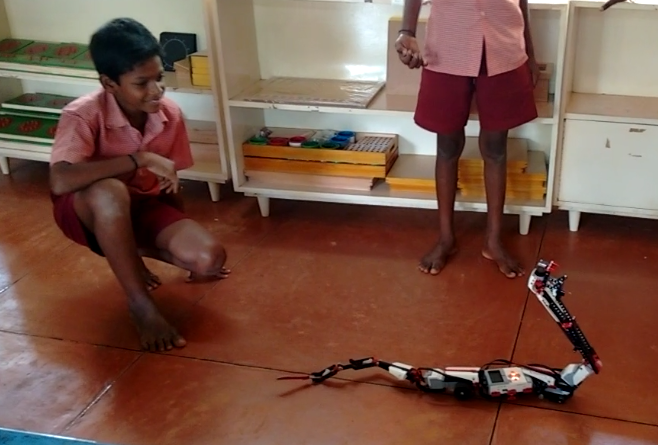 “Playing with snake is awesome” said by 7th graders of Udavi school. Last week they have started to assemble the robotic parts to build robotic snake. After the assembling, they programmed the snake to move around with hissing sound and to react if it finds any object in it’s path (using sensor) .